PLEASE NOTE THESE DATES HAVE BEEN CORRECTED SINCE A PREVIOUS POST WITH INCORRECT DATES ON. Very sorry about that. Welcome to our first bring-and-share dinner of 2019. The world seems full of dark and division just now. Make a New Year resolution to meet new friends of different faiths, by joining us at Shirley House Interfaith Centre and sharing food. Sunday afternoon tea and cakes, 2.30-4.30. We just need a few more symbols and artefacts on our walls to represent the many faiths of Sheffield. Come and join us for a Sunday afternoon tea and cakes with collage, needlework or any craft activity. Materials provided, but feel free to bring your own hobby materials. Share some of the winter festivals celebrated by different faiths, with party food and drinks and traditional games from different cultures. Bring a team, or join one on the night. Please see te attachment below for more details. Don’t keep it yourself – tell others. Actually, Sheffield seems to have got the wrong dates in our heads. The Official Interfaith Week is November 11-18th, but Sheffield is mostly celebrating the following week. Never mind, we hope you will be able to attend some or all of the following events. Most of these events are listed separately, with more details, below on this website. If your own faith group or place of worship is hosting an event to which you wish to invite members of other faiths or none, please let us know and we’ll put it on this website. Wednesday 21st November – 7.30 pm – My Favourite Story from Our Scriptures ‘Show and tell’ evening at Shirley House Interfaith Centre S11 8YL. 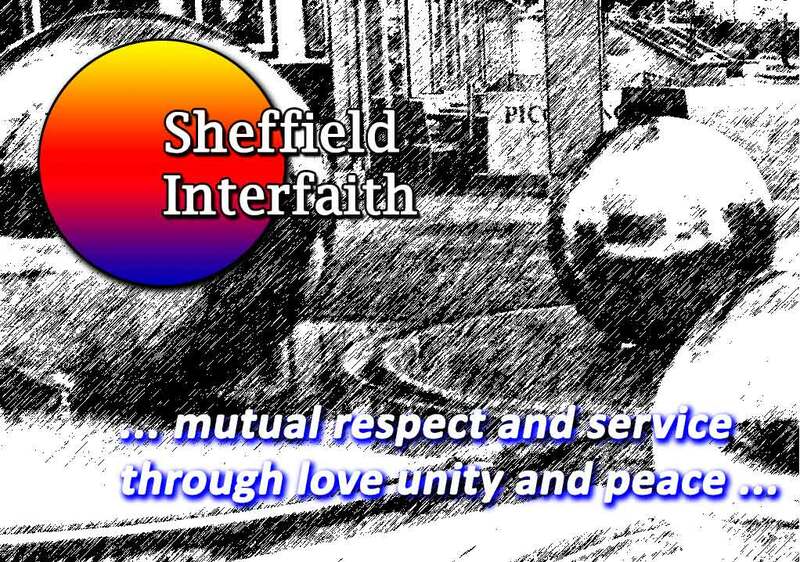 Monday 26th November 6.00-8.00 pm – Sheffield Interfaith Food and Friendship bring and share dinner at Shirley House Interfaith Centre S11 8YL. Rise and Shine – It is time to have a Turkish Breakfast. It will be pleasure to see you. Sheffield Interfaith is holding its annual interfaith walk (part of Interfaith Week) along South Road in Walkley this year. We start at 2pm at the Spiritualist Church on South Road S6 3TA. (95 bus route from town) Please note that the entrance is at the back off Fir Street. This will be followed by a visit to St Mary’s Church, and then to the Buddhist Centre at about 3.45. Possibility of a final stop at Sheffield University’s Multifaith Chaplaincy (Octagon Centre). Interfaith and Community Vigil for the Victims of Pittsburgh and all those who have suffered from anti-semitism, racism and anti-muslim hatred.